Alla Vallejo’s interest in nutrition began when she realized the effect that food and dietary choices had on the health and well-being of her son as well as her own. Over time, her interests grew to include holistic healthcare and understanding the importance of considering the health of not only one’s physical state but also mental and emotional health, along with other layers of what would constitute a healthy human when seeking answers to health-related concerns. Alla graduated from the Canadian School of Natural Nutrition (CSNN) with Valedictorian Honours in 2007, followed by completing the Bioenergetics program at the Institute of Natural Health Technologies in Oakville, Ontario. As a Registered Holistic Nutritionist and Bioenergetics Practitioner, Alla is able to help her clients optimize their health through nutritional guidance and bioenergetically correcting homeostatic imbalances in the body. She supports her clients through teaching them to manage allergy symptoms, correct hormonal imbalances, address weight loss, and other health concerns. Some may recognize Alla as the co-founder of Inspired Health by JanAlla, a holistic health practice that operated from 2008 to 2012. Inspired Health sought to provide nutritional counseling, massage therapy, digital pulsewave analysis, and energy healing modalities to clients seeking alternative and complementary healthcare techniques. In April 2012, Alla launched her own practice in the Wortley Village area of London, Ontario where clients saw her for various reasons, including testing and re-balancing of food and environmental sensitivities in an enjoyable and informative way. By overcoming her own struggles with digestion (after unfortunately having her gallbladder removed in 1996), Alla is now able to help her clients make informed decisions, as well as facilitate customers with appropriate supplement choices in a local health food store setting, where she also enjoys working part-time for the past 10 years. 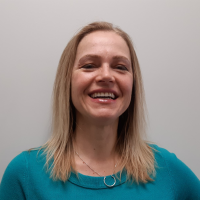 In addition to operating her practice out of St. Thomas and London locations, Alla enjoys teaching Pathology & Nutrition courses at CSNN London.